They're here! 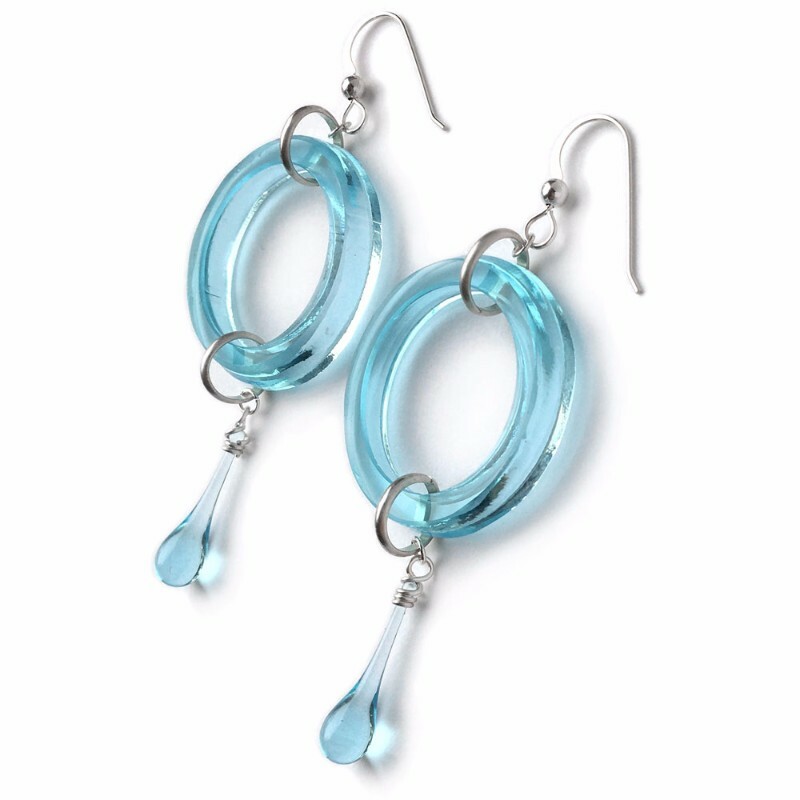 By popular request, the Circular Motion Collection has now expanded to include sky blue, made from Bombay Sapphire Gin bottles! Shop all the designs in my online shop. So far I only have one of each piece - three earring designs, and two necklaces. As a mailing list member, you’re hearing about them first, but you won’t be the last! So click over to SundropJewelry.com to shop these new, highly requested pieces before someone else snaps them up! And in case you're worried about weight... while these earrings are a bit heavier than my usual pieces, they're still lightweight enough to wear all day long!